The Zadro Inc. 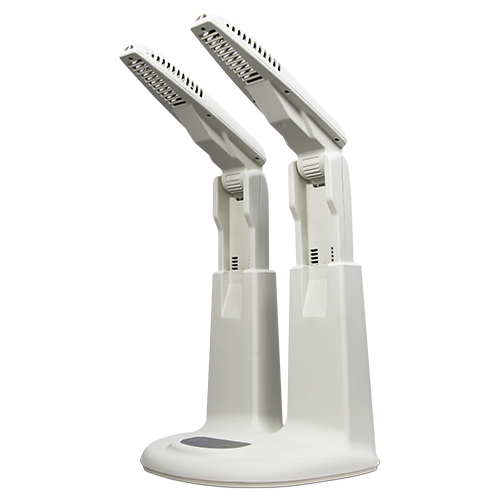 Footwear Dryer & Sanitizer features simultaneously drying and saitizing and is height and angle adjustable. It fits most footwear (Boots, Heels, Athletic, Flats and more) and removes most odors. It features a three timer settings: 15, 30, 60 minutes and includes a UV safety feature that automatically shuts off when your shoes are removed.